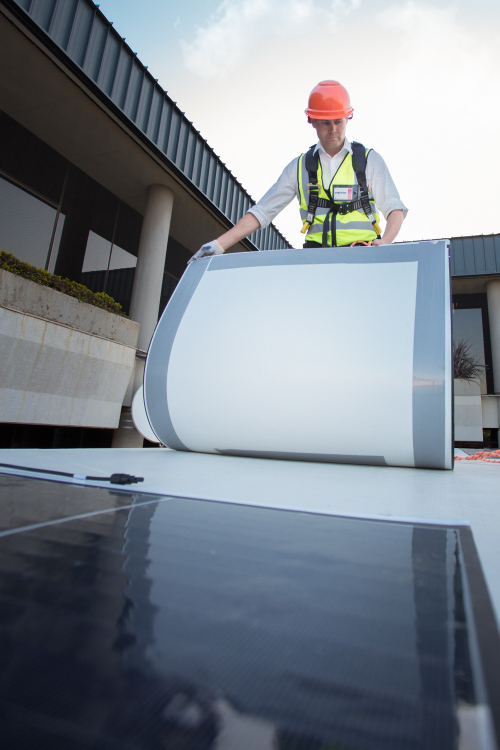 BASF and SoloPower Systems, a photovoltaic technology company, have launched an innovative, seamless and multi-layered roofing system that provides an interface between a building and the environment. The multi-layered system combines energy efficiency, power generation, waterproofing and water harvesting, which adds value to the bottom line of manufacturing, industrial and commercial businesses through cost-effective energy generation and energy saving. It includes roof panels, a waterproofing membrane and solar panels, and due to the unique, lightweight construction materials used in the design, the system can be up to 60% lighter than conventional roofs. What’s more, using composite structural insulated panels provides a cost-effective way to comply with the national energy-efficiency regulations, South African National Standards (SANS) 10400XA. The technology used for the solar power panels (modules) is copper indium gallium selenide (CIGS) solar cells that produce high-energy yields by converting a broader spectrum of light into electrical energy. This technology also allows for the panel construction to be thin and flexible and very durable. Installing SoloPower SP3L module to Masterpren® TPE waterproof membrane. Neil Auerbach, chairman of SoloPower Systems, points out that this product represents the future of the solar roofing industry. “The ability of this roof to combine in a single product, best-in-class thermal insulation, water harvesting and solar power generation, puts it ahead of the pack in generating both environmental benefits and rapid payback for customers. 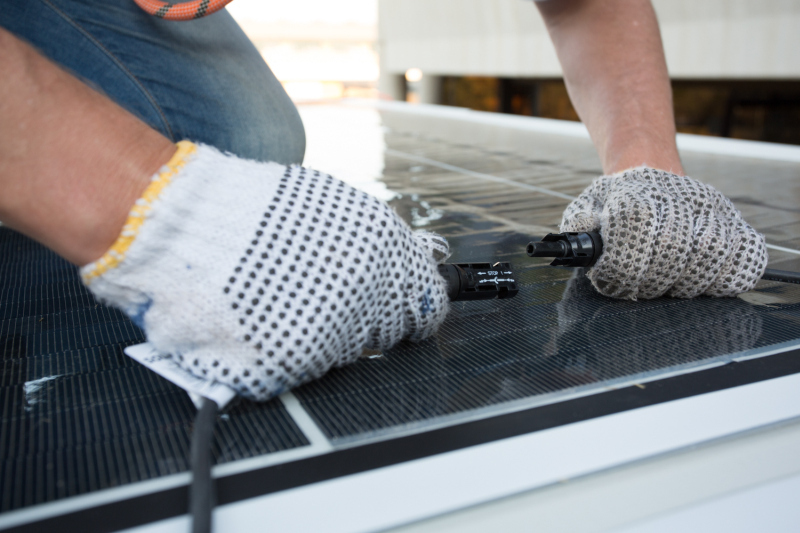 I expect this product to change the way roofing and solar is thought about in the commercial and industrial sector,” he says. According to Angus Peruzzo, managing director of BASF Construction Chemicals South Africa, the country has the best solar conditions in the world. Connection of photovoltaic (PV) modules and electrical reticulation work.